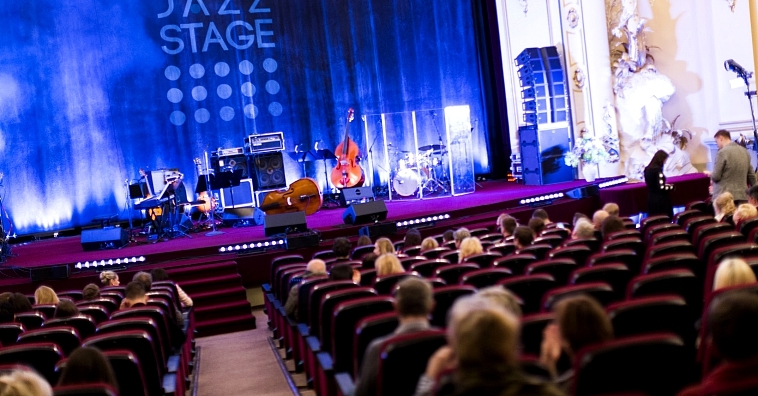 From April 4 till 6, young jazz talents from around the world will come to Riga for the Jazz Artist Contest “Riga Jazz Stage 2019”. Here are 10 reasons why this contest is a unique experience for the public! Jazz Artist Contest “Riga Jazz Stage” is the biggest contest of its kind in the Baltic States and the 3rd biggest in Europe. Portuguese singer Maria João with her unique style has become an icon in the improvisational music world. Dancing with the Voice - this is the portrait of the Portuguese singer Maria João. 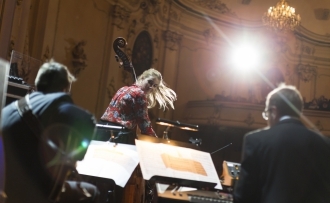 During the concert in Riga, Maria will perform with Ogre Electric Trio project, which is a hybrid of electronic and jazz music. The extraordinary sound will bring listeners into the world of digital and analog sound synthesis. Maria João will give a concert on Saturday, April 6, at 19:00. Opportunity to meet and hear new and ambitious jazz artists from 15 countries, including Asian countries. This year, 14 young jazz vocalists and 12 young jazz pianists will present their musical talent. This year, contestant performances will be evaluated by well-known and respected music professionals from the USA, Japan, Great Britain, Italy, Turkey, Portugal, and the Baltic States. 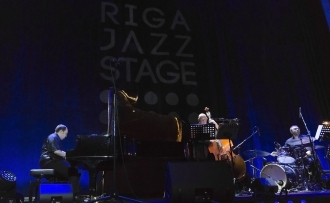 An integral part of the contest is the house band – the Riga Jazz Quartet, which joins some of the best jazz musicians and improvisers in Latvia – Kristaps Vanadziņš (piano), Andris Grunte (bass), Andris Buiķis (drums) and Jānis Bērziņš (guitar). Once every year they join forces to become the Riga Jazz Quartet! Latvia is represented by the largest number of participants this year - five young jazz artists, and all have applied for the competition for the first time. The contest is full of excitement – each contestant has only a few minutes to give a performance of their lifetime and impress the audience, and also the judges. Real jazz lovers will have the opportunity to continue the evening at the jazz club “Trompete” where three evenings in a row (April 4-6) jazz improvisation concerts or Jam Session will take place. Special guests of these evenings: Una Stade quartet, Evilena Protektore quartet, and Sigvards Dižais quartet. The audience has the opportunity to decide and determine their sympathy. Until April 5, 24:00, it is possible to vote for the contestants on the website www.rigajazz.lv. The “Tele2” audience sympathy prize winner will be announced at the Gala Concert on April 6 at Splendid Palace. 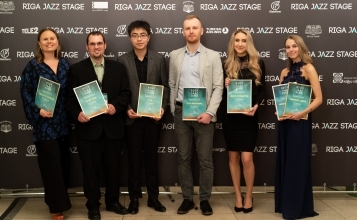 Every year, „Riga Jazz Stage” invites young artists to make each competition year unique and the audience could get to know the new jazz stars. This year, for the first time in the competition artists from Asia – Japan, China, and South Korea – will participate. The contest is also unique because of the artist in residence which changes each year. Riga Jazz Stage 2019 special guest and artist in residence is Portuguese jazz diva Maria João who will also be a part of the jury. Tickets available at “Biļešu Serviss” sales points and online. Portuguese jazz singer Maria João at cinema „Splendid Palace” on April 6!